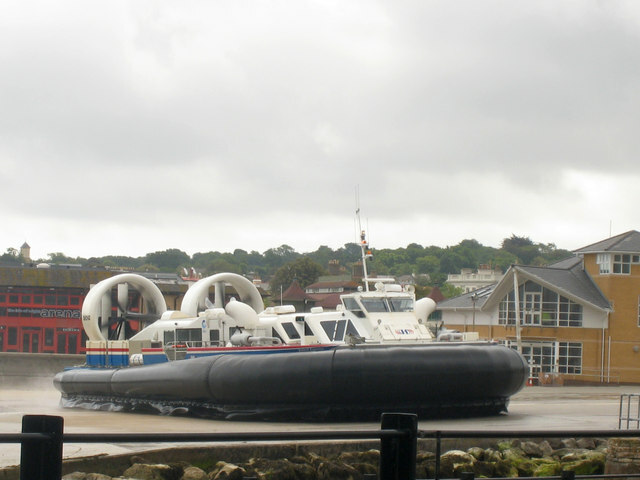 A hovercraft is turning at the hovercraft terminal at Ryde before returning to Portsmouth. The service is the only commercial hovercraft service in Europe and takes 10 minutes to cross the Solent. © Copyright Graham Robson and licensed for reuse under this Creative Commons Licence. This page has been viewed about 190 times.